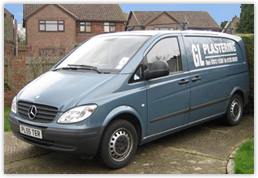 GL Plastering is a professional domestic plastering company offering a wide range of services in the West Sussex and Surrey area. Over the years, our countless satisfied customers have made use of our professional plastering services. We are part of the Checkatrade scheme, established to enable you to find trustworthy and reputable tradespeople. The scheme is intended to demonstrate a commitment by the business to fair and honest trade. All customers will be dealt with promptly, effectively and courteously, in accordance with good business practice.